William Burroughs commented on Paul Bowles‘ autobiography, Without Stopping, saying it should have been, “Without Telling.” The opposite is true of this new bio on Lou Reed. It could be subtitled TMI. Some called Lou names like The Prince of Darkness, Darth Vader of Rock, and those were the nice ones. His fans called him Lou. Andy Warhol called him Lulu. He called Warhol, Drella. A lot of people today don’t know who Lou Reed was (that’s fine…here is your shot to learn), or they confuse him with Lou Rawls (not cool). I call him the 2nd greatest songwriter ever, slightly behind Nobel Prize Winner Bob Dylan. Lewis Allan Reed was born into an upper middleclass Jewish family on March 2, 1942. He was in Doo Wop and Rock groups as a teenager. He was on record by age 14, but his “true fame” wouldn’t come until after he finished College at Syracuse and had a lot of out of the norm personal experience. His parents had electroshock treatments performed on him, either because of his bisexuality (Lou’s version) or his according to his mother, doctors thought he may be schizophrenic. Although, college was a dreadful experience for the non-conformist and drug user, Lou met someone there who changed his life. 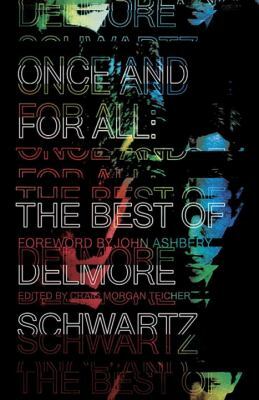 Delmore Schwartz was a renowned poet/professor on his way down. He had been a top poet in the 30’s but paranoia and speed had caught up with him by the 60’s. Of course, Lou chose him as a mentor. Schwartz would hold court at a little off campus bar and read James Joyce to his followers. Schwartz told Lou that if he ever “sold out” his talent as a writer, his ghost would haunt him. And it did to some degree. After graduation in 1964 with a B.A. in English, Lou moved to NYC and became a songwriter for a small company called Pickwick, which produced cheap exploitation albums of the newest musical fads. He also made frequent trips into Harlem to buy heroin. Lou and his fellow musicians wrote a song called, “The Ostrich,” that got some notice and airplay. It was recorded by studio musicians, so when a local TV station wanted the band (The Primitives) to perform, that had to search for a stage band quickly. One of the guys chosen was John Cale because he had long hair. Cale was an avant-garde classical musician from Wales. In time, the band evolved into The Velvet Underground. 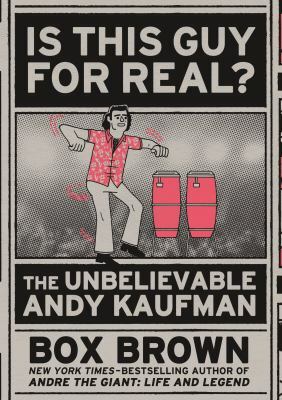 They played dives in NYC and got fired, but were discovered by Andy Warhol. On July 11, 1966 Delmore dies. Lou was in the hospital for Hepatitis C and checked himself out to attend Delmore’s wake. So, in Warhol, Lou had found another 2nd father and genius to learn from. 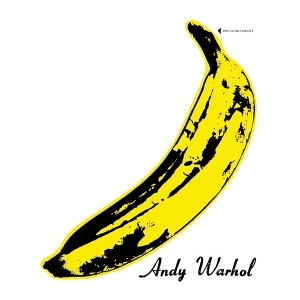 Andy is credited with producing the first Velvet Underground album. VU would go on to record 4 studio albums from 1967-1970, and go through many personnel changes (Lou was difficult to work with.) Lou fired Andy, but stayed friends until a later falling out. Along the way Lou became a great guitarist noted for his use of distortion. When Lou left VU on August 23, 1970, he had had enough of the R&R business. VU had not been a financial success and they were only famous among the people living outside the mainstream. He had legal problems and was burned out on every level. So he moved into his parent’s house and worked as a typist in his father’s business for $40 a week. Eventually he drifted back into his only true love. From 1972 to 2011, he released 22 solo albums, 13 live albums, and 16 compilation albums. He married 3 times to three distinct women. Lou was polysexual and experimented with various drugs, mainly speed, heroin, and alcohol. He was at times sweet and violent, and his songs reflect this. Some are soft and sensitive, others will offend most. In the end, after AA and laying off most drugs, Lou was mellow most of the time. Although reporters and critics were always fair game for him. Lou died on a Sunday (Oct 27, 2013). One of his sweetest and most haunting songs was titled, Sunday Morning. For me, Lou had a good soul – wild, free, and full of anger as a young man. But in time, he would find some peace in the world. 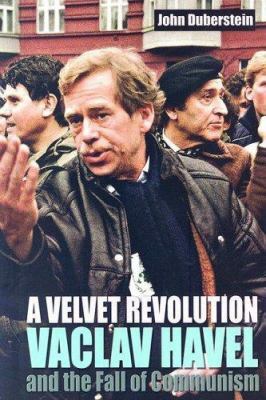 A young writer named Vaclav Havel on a visit to the U.S. in 1968 bought the 2nd VU album. He would go on to lead the Velvet Revolution and become President of Czechoslovakia in 1989, and the First President of the Czech Republic. Lou interviewed him in 1990 and they became friends. Lou was influential to many younger musicians and he could be called the Father of Punk, New Wave, Glam, and Alternative. All his albums are distinct. Read the book and listen to his albums! You’ll be glad you did. 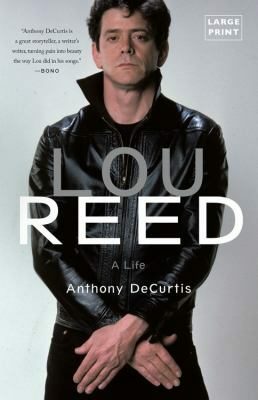 This entry was posted in Reviews and tagged Adult Non-Fiction, Biography, Lou Reed, Tom on May 16, 2018 by Tony. I was recently introduced to the photography of Dorothea Lange and I became instantly intrigued and immediately reserved several books on her. 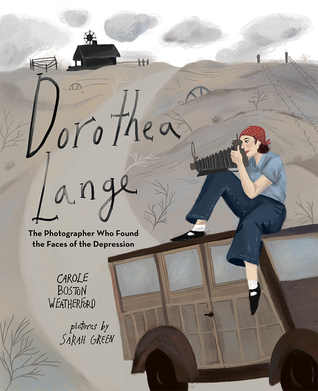 The first being a new children’s non-fiction book called Dorothea Lange: The Photographer Who Found the Faces of the Depression by Carole Boston Weatherford. In this picture book biography I learned Lange had polio as a child and although she survived, it left her with a limp. A limp that caused her classmates to bully and avoid her. This later would influence Lange’s empathy toward people’s “otherness” and apartness. When the Great Depression struck Lange took her camera to the streets. She photographed men waiting in bread lines and sleeping on sidewalks. The Depression had stolen their livelihoods and they had nowhere to go. Lange took their photos for the world to truly see them. This becomes a recurring theme in Lange’s work; seeking the downtrodden and showing the world their stories. Weatherford’s book also includes beautiful illustrations about this inspiring and motivated woman. 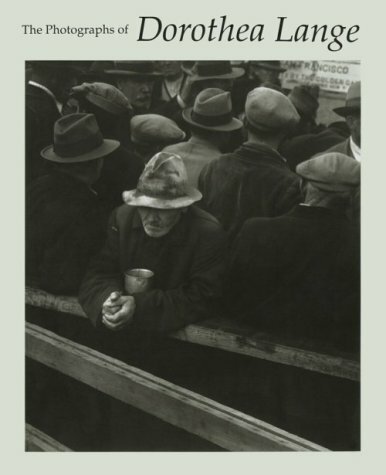 Next I chose an adult non-fiction title, The Photographs of Dorothea Lange, where again I learned her most significant body of work was in the 30’s and 40’s documenting the Depression years. But my favorite work of Lange’s stems from her experiences working for the government photographing starving migrant workers in California. She also has some incredibly heartrending photographs of Japanese Americans interned on the West Coast during World War II. Lange managed to capture some of the darkest episodes of America’s history and her black and white photos evoke such emotion and empathy. 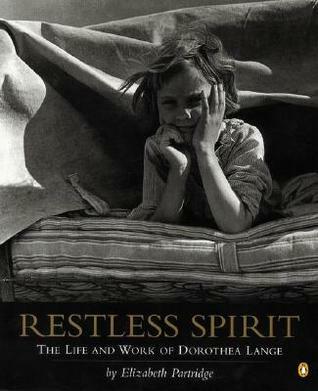 Finally, I chose a teen non-fiction title, Restless Spirit: The Life and Work of Dorothea Lange by Elizabeth Partridge (Lange’s goddaughter), which is a more personal portrait of a woman who struggled to balance her passion for her career and her love for her family. Dorothea Lange was way ahead of her time. She existed during a period in America when women mainly stayed home with their children and husbands. Lange basically farmed out her children to others to be on the road pursuing her dreams. It’s easy to see and hear her frustration in her writings and photos of her love for her children but her desire and need to pursue her art. 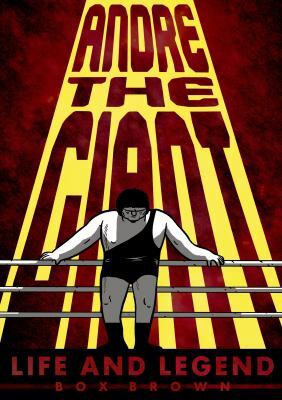 All three books give a wide view of Lange’s intimate triumphs and failures. She was a complex and driven woman. I think she should be required reading and viewing for all Americans to understand our history. Anyone interested in photography, American history or humanity will find her work exceedingly powerful and compelling. This entry was posted in Reviews and tagged Adult Non-Fiction, Biography, Dorothea Lange, Heather, Photography, Teen Non-Fiction, The Great Depression on April 17, 2017 by heatherlee. 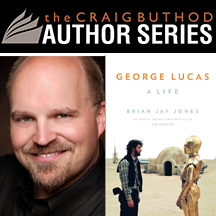 Join biographer Brian Jay Jones for a discussion of his latest book George Lucas: A Life, detailing the incredible life story of the Star Wars and Indiana Jones creator. Jones is the New York Times bestselling author of Jim Henson: The Biography and the award-winning Washington Irving: An American Original. This program is free, but tickets are required – click here to order. This entry was posted in Library Programs and tagged Biography, George Lucas on November 30, 2016 by Tony. 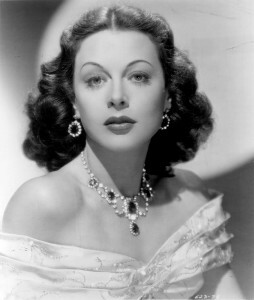 Hedy Lamarr is best known today for being a gorgeous movie starlet. However, her most lasting contributions to history may well be her skill as an inventor, rather than her stunning looks on the silver screen. 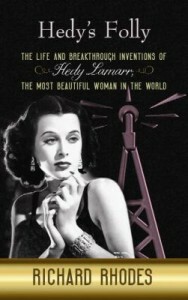 Richard Rhodes draws on a range of historical sources – military and show biz – to detail how Hedy Lamarr and George Antheil developed and patented spread-spectrum radio technology to make radio-directed torpedoes un-jammable – ultimately the seed of today’s digital wireless communications networks, from cell phones to wifi Internet. Richard Rhodes is best known for winning a Pulitzer Prize in 1988 with The Making of the Atomic Bomb. Here, he writes well out of his usual history-epic comfort zone, and, in some respects, it shows. This book is terse, and more “dishy” in tone, attempting to emulate a movie industry gossip rag, equal parts frothy biography and dense technological history. Ultimately, whether you will enjoy this book depends on whether you like either or both of these genres, and can tolerate the other. 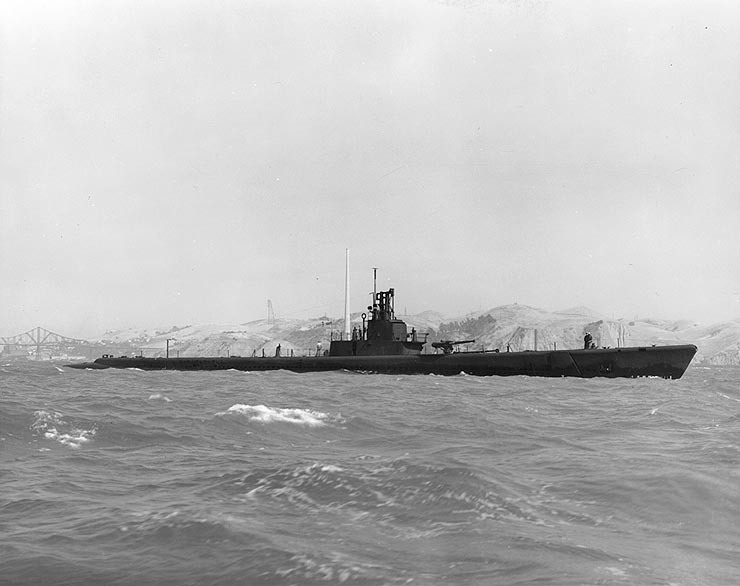 USS Wahoo SS-238: one of the most successful US submarines of WW II. Lost with all hands in 1943. If you do like your Hollywood gossip biographies with a hefty helping of technological wartime bureaucratic drama, or the reverse, then this is the ideal book for you. This entry was posted in Reviews and tagged Biography, Hedy Lamarr, History of Technology, Hollywood, Inventors, Katherine, Radio Communication, World War Two on September 24, 2015 by Katherine. Summer is the season of family vacations and this means often long road trips accompanied by restless travelers of all ages. Regardless of your reading preference or road trip companions, the absolute best way to pass the time on a long road trip is by listening to an audiobook. Sharing an engaging story with your vacation companions can stave off the repetition of, “are we there yet?” and turn even the most reluctant reader into backseat book critic. Below you’ll find a few of my favorites from a variety of genres and talented narrators. In most cases I have a personal preference for authors as narrators, but some very talented voice actors are noted below. Most genres listed feature children’s (C), teen (T), and adult (A) titles. Although the adult titles may not be appropriate for children/teens, adults should not restrict themselves to only adult titles. A well-executed audiobook, although geared toward a younger audience, can easily be enjoyed by all ages. No matter the variety of personal tastes filling your vehicle there is an audiobook (or two, or three) that will meet your needs. This entry was posted in Reviews and tagged Adult Fiction, Adult Non-Fiction, Audiobook, Biography, celebrities, Children's Fiction, Children's Literature, Fantasy, Historical Fiction, Humor, Magen, Memoir, Mystery, Realistic Fiction, Road Trip, Science Fiction, Teen Fiction, Vacation, World War II on June 29, 2015 by magenlee. Main Library, Monday, June 15, 7 p.m. This is a free event, but tickets are required – click here. Main Library, Thursday, July 21, 7 p.m.
Tickets available starting June 1, 2015. Miss an author event, or just want to enjoy a presentation again? Welcome to LFPL’s “At the Library” series, an ongoing podcast featuring author talks, programs and events at the Louisville Free Public Library. This entry was posted in Library Programs and tagged American History, Author Talks, Biography, Cold War, Espionage on May 19, 2015 by Tony. We all have those days that are just overwhelming and make us want to escape for a little while. Whenever the struggle of the daily grind starts to stress me out, I begin to fantasize about selling all my worldly possessions and cramming my life into a tiny house by the sea, or in the mountains…or movable between the two. 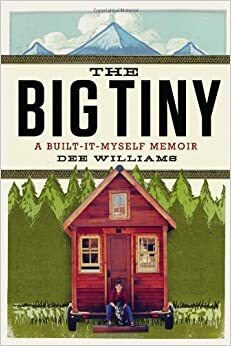 That’s why I was immediately drawn to The Big Tiny: A Built-It-Myself Memoir, by Dee Williams. When faced with the reality of struggling to exuberantly live while suffering from congestive heart failure, Dee Williams philosophizes on how much lighter our metaphorical loads would be if only we could literally lighten our physical loads. She challenges herself to take control of her life by simplifying her living space through building a tiny house she then transports from her home in Seattle to Olympia, Washington. Williams takes the reader along on her personal journey through an honest portrayal of the challenges and successes she faces as she builds her new home and adjusts to a new life in her friends’ backyard. Through her conversational tone and humorous self reflections she details the realities of her drastic life change, resulting in a really heartfelt memoir. Although this book does not quite prepare the reader to follow her path to pair down your possessions to merely 305 items and commit to living in a structure you’ve created with your own hands, Williams’ story is inspiring and has drastically increased my perusal of tiny house materials available within LFPL. For further proof that tiny houses can actually be built and inhabited by the average person check out the documentary Tiny: A Story About Living Small. This beautifully rendered independent film is an extremely honest portrayal of the struggles of the physical process of creating a tiny house as well as the interpersonal conflicts of convincing others in your life that this is a worthwhile pursuit. 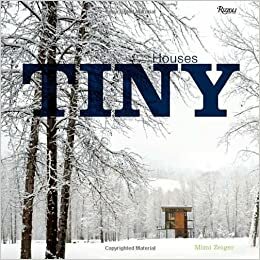 If you’d like to lust after some well-appointed tiny houses in a beautiful, appropriately tiny, coffee table book check out Mimi Zeiger’s Tiny Houses. 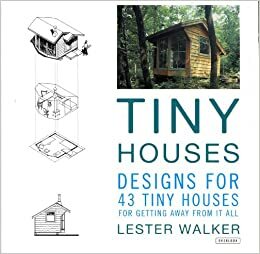 To see some examples of small houses throughout history, including Henry Thoreau’s cabin, as well as some modern addaptations check out Lester Walker’s Tiny Houses: Designs for 43 Tiny Houses for Getting Away From it All. This book not only includes beautiful photos, but also some historical background and design sketches of each house featured. 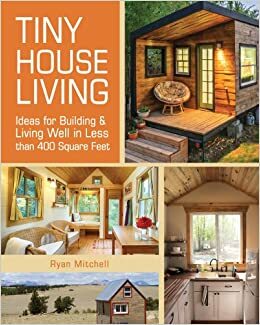 If you’d like a bit more exploration of the philosophy behind the “tiny house movement” and logistical considerations for the planning phase of actually building your own tiny house Ryan Mitchell’s Tiny House Living: Ideas for Building & Living Well in Less the 400 Square Feet is a good place to start. 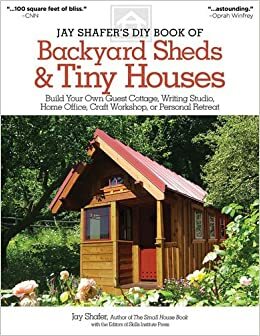 Those brave souls who may actually live the dream and build their own tiny house should consult Jay Schafer’s DIY Book of Backyard Sheds & Tiny Houses: Build Your Own Guest Cottage, Writing Studio, Home Office, Craft Workshop, or Personal Retreat for a glimpse at some practical and executable designs with tons of helpful tips on the actual building process. This entry was posted in Reviews and tagged Adult Non-Fiction, Biography, DIY, Magen, Non-Fiction Films, Sustainable Living on April 6, 2015 by magenlee. Interest piqued by the recent announcement that American literary legend Harper Lee will be publishing a new novel? Want to know what the author of one of the most widely read books in America has been doing for the past 50+ years? 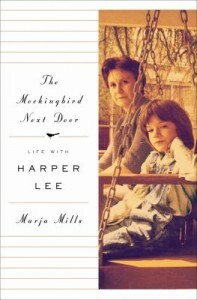 Marja Mills’ The Mockingbird Next Door: Life With Harper Lee is just about the only option you have, but fortunately it’s an excellent one. Lee, who was last in the public eye in the mid-1960s, has eschewed numerous opportunities to be recognized for her literary masterpiece, a book that helped fuel the progress of Civil Rights era reforms and whose hero, small town attorney Atticus Finch, continues to inspire readers today. Her motivations, as outlined by Mills, are certainly relatable: a desire to protect her own privacy and of those she loves; a distrust of those wishing to capitalize on her opus; and a general distaste for constantly being in the spotlight. When writing Harper Lee’s biography, journalist Mills had to work hard to gain the author’s trust. The Chicago Tribune writer moved to Monroeville, AL with the intention of getting a few interviews and slowly developed earnest friendships with both Lee and her sister. Why did Lee lift the veil on her life now, why not live the rest of her days enjoying her privacy? Mills offers a few explanations. First, she wanted to have the story of the Lee family told by someone she trusted. Second, she wanted to set the record straight on a few things, namely any controversy that remains over who actually wrote To Kill a Mockingbird (Truman Capote, Lee’s childhood friend, had once claimed credit) and some allegations levied by Capote regarding Lee’s mother. Lee and Capote’s friendship had a long history and had even blossomed into a professional collaboration when she traveled to Kansas with him in the early 1960s to do research for what would later become In Cold Blood. The pain of betrayal Lee experienced with Capote is palpable in Mills’ pages. So how does (Nelle) Harper Lee spend her days? For much of her adult life she spent half of her year in New York, where she enjoyed anonymity and the cultural offerings of a great city. The other half she spent in her hometown in Alabama, hanging out with friends and her beloved sister Alice, who in her 90s was still practicing law and being recognized for her work in social causes. Mills makes Lee’s days of fishing, storytelling and visiting cemeteries in her corner of Alabama sound as stimulating as her days in NYC must have been. Mills’ unauthorized biography of Lee paints a picture of a woman true to herself and her values, who had to struggle against renown in order to live the life she wanted. The author maintains a professional detachment in reporting her story and spent enough time with Lee to know her as a person, not simply a literary legend. This entry was posted in Reviews and tagged Adult Non-Fiction, Biography, Harper Lee, Valerie on February 25, 2015 by Valerie. Put on an Angélique Kidjo album. Listen to her voice – honest, powerful, and expressive. Open her autobiography, Spirit Rising: My life, My Music, and hear her tell the powerful story that made the little girl from Benin, in West Africa, into the international artist and activist she is today. She tells her story simply, but there is great depth to her understanding of human rights issues in Africa and throughout the world. Several themes pervade her life. One is family. Her relationships as daughter, sister, wife and mother are portrayed as sustaining her throughout her life and career. She grew up as 1 of 10 children; her father was a postal worker and her mother ran a theater company. Music and conversation were abundant at her house. She was a child who asked a lot of questions and never lost the original sense of injustice she felt when she learned about slavery and apartheid. The music she hears as a child was often intertwined with the civil rights movements in Africa and America in the 1960’s and 70’s. She hears Miriam Makeba, “Mama Africa,” whose South African citizenship was revoked because of her activism against apartheid. Makeba becomes her role model and eventually her mentor and friend. Aretha Franklin is the first woman she sees on an album cover, and she realizes it’s possible to have a career in music. Her exploration of how Africa influenced music throughout the world is another theme in her music and her life. Through different albums she explores traditional music of Africa and the fusion of African music with the music of other cultures in the Americas. As her career progresses, she performs at concerts to bring attention to injustices in Africa. She’s asked to be a UNICEF ambassador. She tells of visits to refugee camps, orphanages and villages without adequate nutrition. “The work for UNICEF inspired my music and my music helped me recover from these trips,” she writes. As a result of this work, she founded the Batonga Foundation to educate girls in Africa. Her parents paid to send all their daughters to secondary school, which was unusual in Benin at the time. She credits her family with giving her the benefits of an education and wants to pass it on. “The solution to Africa’s problems must be provided by Africans who have experienced them firsthand, especially the African women, who are the continent’s backbone,” she writes. 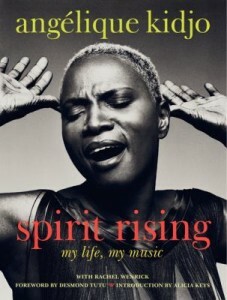 This book is beautiful, including the gorgeous black and white photo of Kidjo on the cover. It’s printed on shiny paper and contains publicity shots from Kidjo’s albums, candid pics in the studio, and shots of her with her family. Each chapter begins with colorful African patterns on the left-hand page and African motifs are used throughout. A wonderful surprise at the end is the inclusion of the personal recipes Kidjo refers to making for family and friends throughout the book. 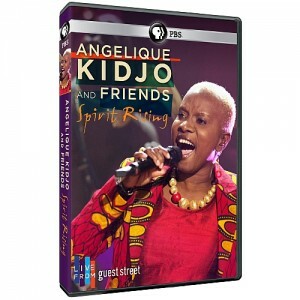 Spirit Rising invites us into Angélique Kidjo’s life with African hospitality. 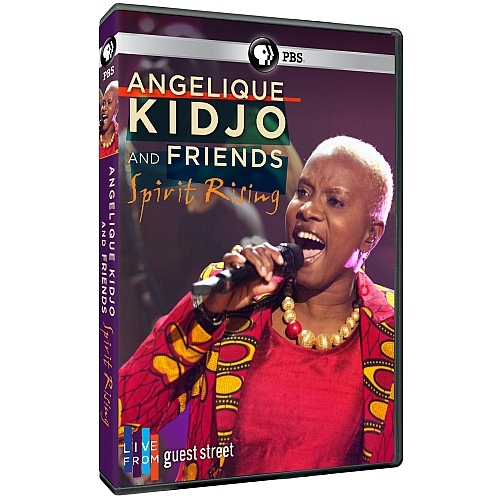 This entry was posted in Reviews and tagged African Musicians, Angélique Kidjo, Biography, Laura, World Music on November 6, 2014 by Tony.